Want to know why I’m doing this? Sure, I’ll tell you. 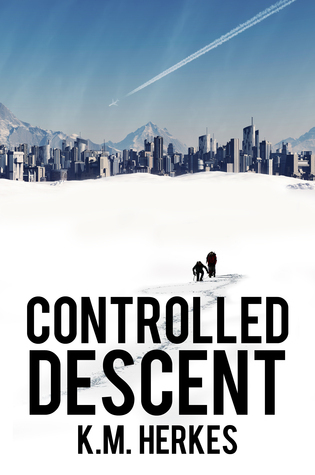 I released Controlled Descent in paperback on June 23, 2014. It’s almost a year old. That’s an amazing happy thing, and nothing says happiness like free books. So I’m sharing the love. I know it’s a cliche, but time truly has flown past. The year was jam-packed with firsts and learning experiences, and the excitement is far from over. I’m releasing a Controlled Descent prequel story called Novices on June 23, 2015 as part of my one-year celebration. Another two stories in the Restoration collection will release before that date next year. And maybe, if all goes well, I’ll have the third novel complete for summer 2017. It has a title–Safe Landing– and the plot is coming together, but there’s a long road ahead for that one. All that, and I haven’t even mentioned the second collection I’ve started to build, so I’ll do that now. The Rough Passages Tales take place in a whole new world, with a whole new cast. That’s a whole new series to develop while still working on this one. I do like to keep busy. *only US only this time, sorry. This was an impulse that went from idea to completion in under an hour. I promise to research shipping options for more markets before Flight Plan’s bookiversary in October.